So, the reason why I’m writing this article today? My husband is going through physical rehab, and has been for a few weeks now. He was a gym rat before his deployment and decided to relax. Long story short, the old man found out some issues, got surgery for it and is now working himself back into the gym. Being the fitness guy he is, he insisted on us working out together (I love to gym, but did it solo most of the time) and seeing how we do as a team. He already bought pre-workout as his motivation to build his confidence back up into working out. So, as a couple, we decided to buy our own workout supplements and see where it takes us. 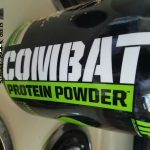 I was a Muscle Milk shake lover when living in the states, but my husband told me he needed an extra boost. Unlike me, he is running low on energy these days, and has to rely on pure willpower in the morning for his therapy sessions. While we were in the store, I noticed he was eyeballing a particular supplement. Twin Lab Ripped Fuel Extreme was his choice, in the medium of pills and we went on with our day. 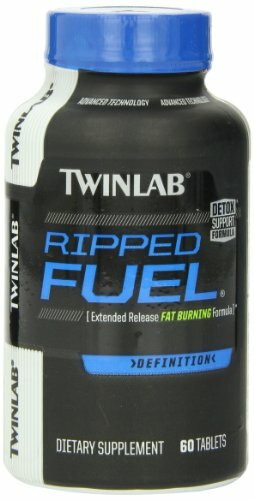 Twin Lab Ripped Fuel Extreme is labeled as a fat burning dietary supplement, and has the tag line of being “clinically tested weight loss.” The serving size per use is two capsules, and can be used before work outs to give you a boost. The ingredients include the following: calcium, chromium, herbal extract, cocoa seed, green tea leaf, caffeine, l-carnitine and cayenne. The chromium is the most potent chemical, being 167%. This chemical is a mineral used to do many natural processes, including digestion, hence the focus on it being a fat burner. Besides the key ingredients, the rest of the compounds in the supplement are either organic or considered natural for our bodies to make/ingest. The most important direction to follow with this is to not take more than the recommended amount. For this particular supplement, it is recommended to take 2 pills, twice a day every day. However, you can also only take two pills once a day; the 2 pills twice a day memo is for the best results. Beware that you don’t overdo it- the manufacturer warns against taking more than the recommended amount, stating you will not see improvements, but will instead run a risk for having a health problem. Follow the instructions, and you will be okay. For this product, one is to swallow two pills. These pills are quite large, so make sure to drink water with them. The smell is of a green tea resemblance, and the taste is bitter. The one good quality is everything about this product is natural, so there isn’t a bad aftertaste. , it takes around an hour to kick in. Due to this, he will take Ripped prior his physical therapy workout sessions and our daily gym work outs. When taking Twin Lab Ripped Fuel Extreme , he has felt a “jolt” of energy out of nowhere, similar to if he was to drink an energy drink without having the sluggish effects. Before trying out the Ripped Fuel Extreme formula, he had trouble working out at the gym; the physical therapy was grueling on its own, especially in an area he is weaker on at this moment. 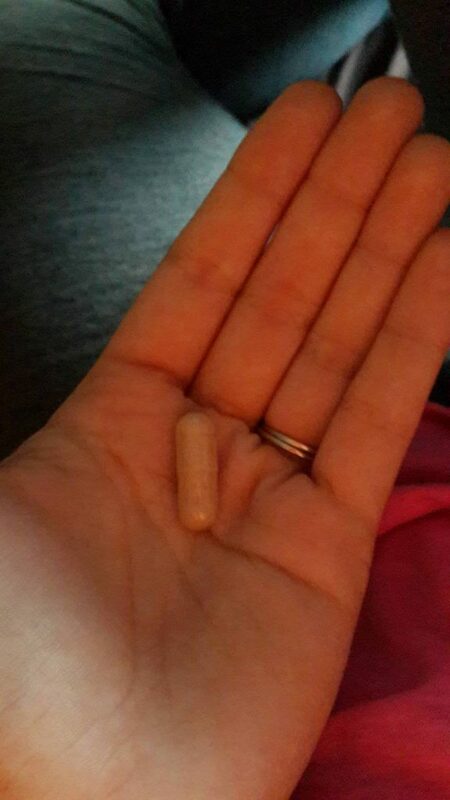 However, this pill has been a great alternative, boosting his desire to work out more. Before, he would stop working out; now, he has added a 2 mile run and feels fine afterwards. One of the drawbacks of these pills is the increase of perspiration. I am a heavy sweater in general, so I cannot imagine taking Ripped myself. 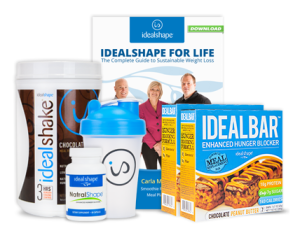 Before Ripped, my husband would sweat during a workout but he was never red in the face or dripping. Now, he sweats a considerable amount more, to the point where he is red in the face now and is sweating from his face and hair. One could say that the “fat burning” is working, but he does not report of any burning. Instead, he notes that the caffeine feeling he has is overwhelming once it kicks in and motivates him; furthermore, it doesn’t make him jittery. Instead, he has more of a desire to release the energy he has and does more techniques to tire himself out more. 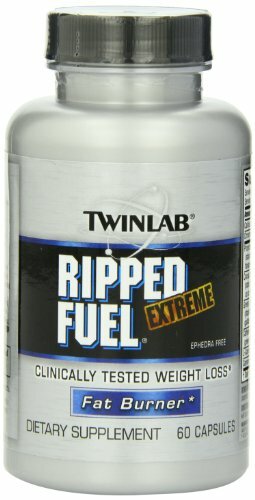 Right now, my husband gives Ripped Fuel Extreme 3 out of 5 stars. He is starting to slim down some since beginning his workouts, with dietary supplements, but they are also not the reason why. This is because of his own desire to become better and increasing his physical activity. Ripped is more like a caffeine boost; thanks to its natural ingredients that have a bountiful amount of energy, when one takes the pill, they ingest that. This is a benefit, because none of the chemicals will harm a person since they aren’t of any foreign substances or any compounds that are unnatural. However, the pills do take up to an hour to finally “work”, which can be time consuming for someone who is ready for a workout. 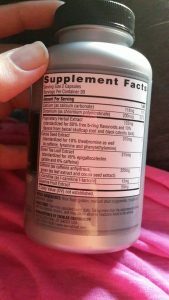 When I consume my supplement, I only have to wait 15 minutes before working out; furthermore, my husband will drink pre-workout and it immediately gives him the effect he wants. The reason for the long process is due to its natural ingredients, so before heading out, make sure you take the pills to use their maximum effect. My husband plans to use Ripped in lieu of his pre-workout every other day. The benefit of being a natural substance outweighs the consequences of waiting for its effects. Also, the fact that it puts a person on a caffeine high is better than nothing. When my husband “crashes,” he does not have the same crash you see in many artificial caffeine victims; instead, he will tell me he feels he did all he could do, and moves on. A key message from us is that in no way should anyone think this replaces hard work- you still need the incentive and the desire to work out. 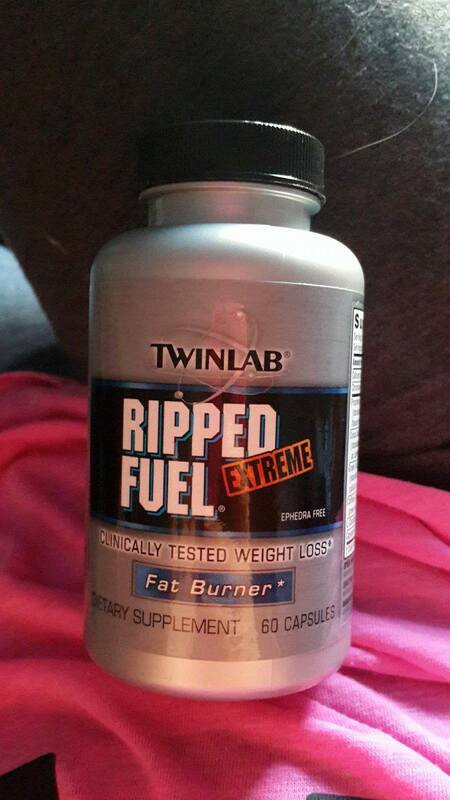 Twin Lab Ripped Fuel Extreme only gives you a boost, increasing your duration, not your motivation. You will sweat a lot and you will feel energy, but it doesn’t matter if you don’t use it. If you want to buy this for a boost, I would recommend it. For 60 capsules, it is around 20 dollars. This can add up if you are doing the recommended dosage; if I was someone else, I would try it for an entire bottle and then make my judgement. It will not make you the Hulk or Superman overnight. 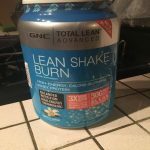 If you are wanting it for the “fat burning” quality, I would not recommend it. Instead, there is an energy boost and increased perspiration, but it’s not a miracle pill, either.